Fissure 8 lava fountain and flow, seen on June 10, 2018. USGS/HVO. The eruption that started near Leilani Estates on Kīlauea’s Lower East Rift Zone is now in its second month and so far, there is little to indicate that the eruption might be ending soon. Fissure 8 (webcam) is still the dominant player in the eruption, currently erupting three lava fountains that reach ~50 meters (~180 feet) and feed the lava flows that have erased Kapoho Bay. What’s worse is the lava flows that did head towards Vacationland on Kapoho Bay have now raised the total of homes destroyed by the eruption to over 500. Micro-house shelters are being built in Pahoa to accommodate the evacuees from the eruption, many of which will likely not have a home to return. With the continued ocean entry producing hazardous laze and Fissure 8 pumping out copious sulfur dioxide, it might be some time before the people who lived in the area can head back to to what, if any, remains of their homes and property. Some residents have been able to return in places where the eruption seems to be over, but that could change quickly if fissures reactivate. Lava flows reaching the Pacific Ocean in the former site of Kapoho Bay. Seen on June 10, 2018. USGS/HVO. The lava delta that is formed where Kapoho Bay (above) used to be now extends over 2 kilometers (1 miles) into the Pacific (see below). There are areas where it seems that lava is flowing out under the sea, possibly as lava tubes carry the flows further than the shoreline. Beyond that, the new land (which is state-owned, by the way) is still very unstable like all lava benches/deltas. 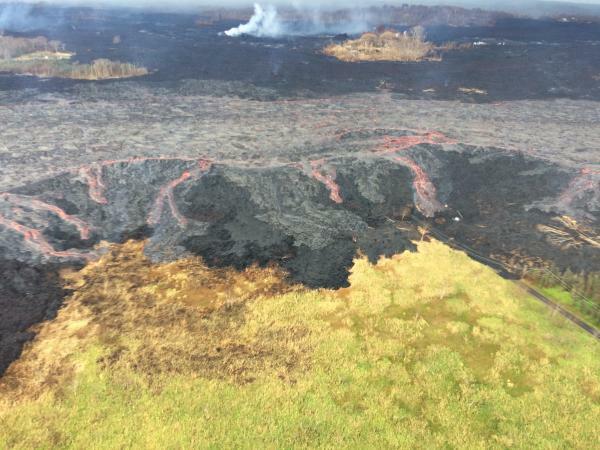 The channels bringing lava to the sea has also spawned some “spillover” flows has the lava breaches the levees. 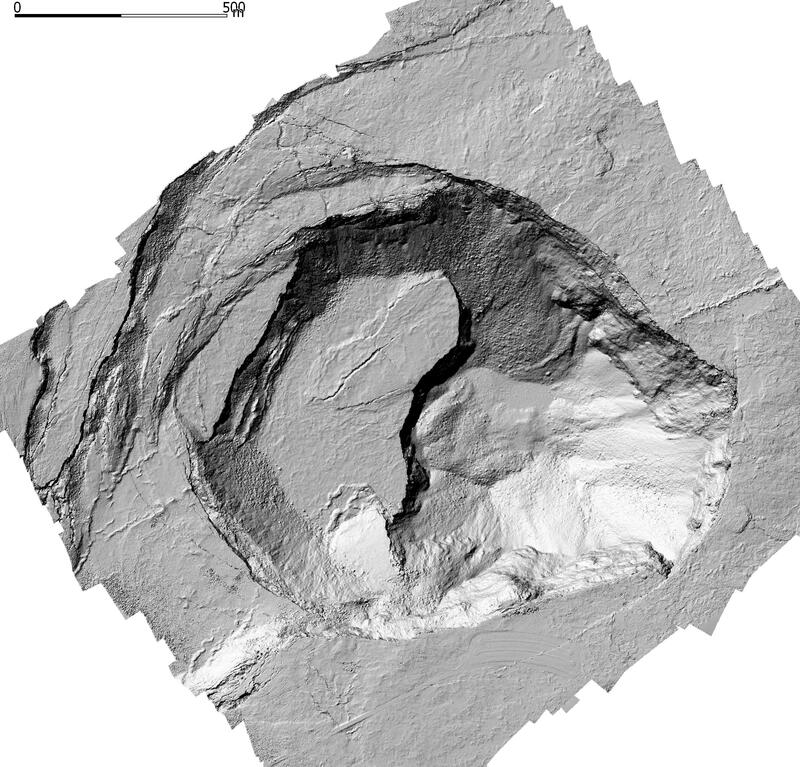 The river that is carrying lava to the sea was examined by a drone recently and you can really see how the lava moves fluidly … but like a very sticky fluid. Even though it is flowing, it is stickier than cold honey. The darker patches on the flow are parts of the lava that has already started to cool as it hits what is frigid area (maybe 25ºC) compared to the 1150ºC lava. If the crust cools enough, you can cover over the lava flow and create a lava tube, which helps move lava further as that roof insulated the flow. That is how the lava flows that spilled over Pahoa in 2014 got as far as they did from their source at Pu’u O’o. Speaking of Pu’u O’o, the vent on the upper East Rift Zone of Hawai’i may now be a former vent. 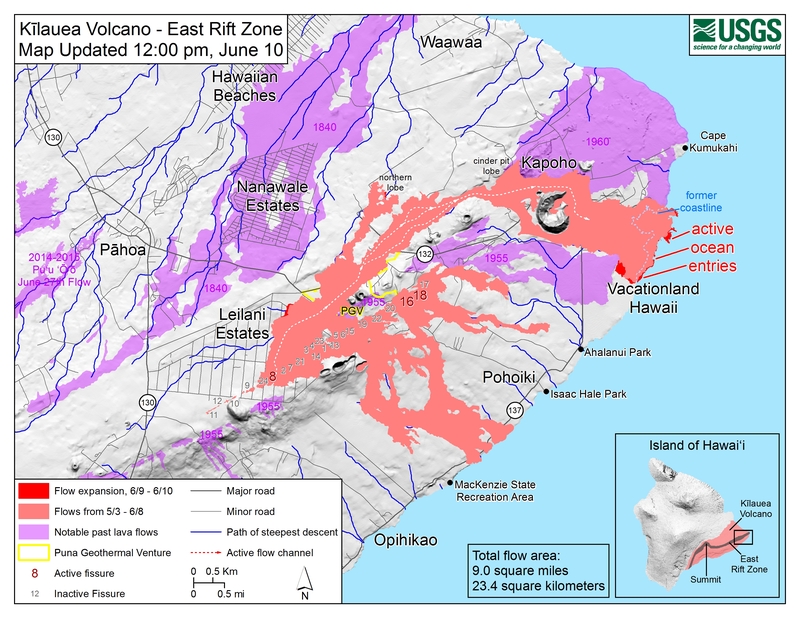 After over 35 years of eruption, the collapse that occurred as the Leilani Estates eruption and the new breakouts in the lower East Rift Zone seem to have shut down the long-lived spatter cone and lava lake. An overflight of Pu’u O’o (below) shows the pit where the activity once was and not much happening beyond some steaming ground. At the summit, USGS scientists have been able to notice a periodicity to the earthquakes and explosions that occur. While being far from perfectly predictable, there is a pattern of rising earthquakes until an explosion, then an abrupt drop in earthquakes before the cycle starts again. We will see if this pattern continues, but it is likely influenced by the continued collapse of the summit crater as the whole summits deflates. The summit area has been blanketed in ash and debris, while massive cracks have formed due to this subsidence of the land surface. Even the former Halema’uma’u overlook that closed in 2008 due to the establishment of the lava lake has now disappeared into the growing crater. The USGS is beginning to release some estimates of the volume of lava erupted so far – right now, it is ~0.1 cubic kilometers. That might not sound like much, but that is 3.8 billion cubic feet, or enough to pave all of Rhode Island in a little over an inch of shiny, new lava. 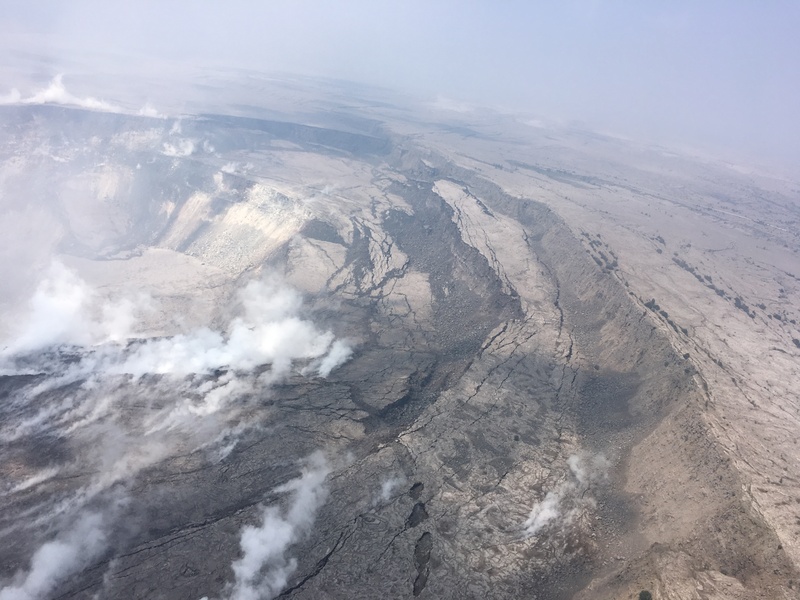 Luckily, the lava on Kīlauea has been confined to a relatively small area, so a vast majority of the Big Island has been unaffected by the continuing eruption. What’s worse is that they told some people in Leilani Estates to go back home. Other people have chocolate fountains. They have lava fountains right across the street. Cool!!! And if they want to pop out to the store for some milk, they can stroll over those boards atop the cracks in the ground to wherever because it ‘s a food desert. No lawn mowing, though, because the SO2 pretty much took care of plants. Sounds pretty much like life in the big city: staying away from crack, and keeping up with the Joneses. My lava fountain trounces your choco fountain any day. I am being sarcastic, K? It’s the political, “We will rebuild” in these historically dangerous locations that to me is the height of folly. Two strikes, and you could be out, literally. Not tom mention the huge public costs associated the rescue, mitigation and protection people from their own foolish choices.